The society has revised prices of installment options in K-Extension and M blocks. 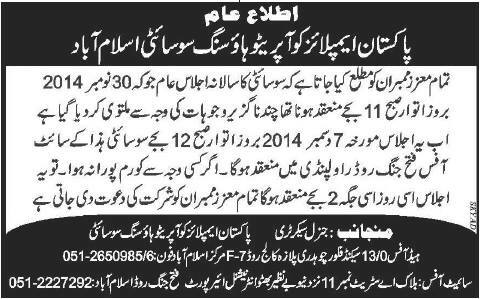 Prices of 5 marla (25×50), 8 marla (30×60) and 10 marla(35×70) plots have been increased. K-extension block was launched a few months back and it has few plots left for booking. 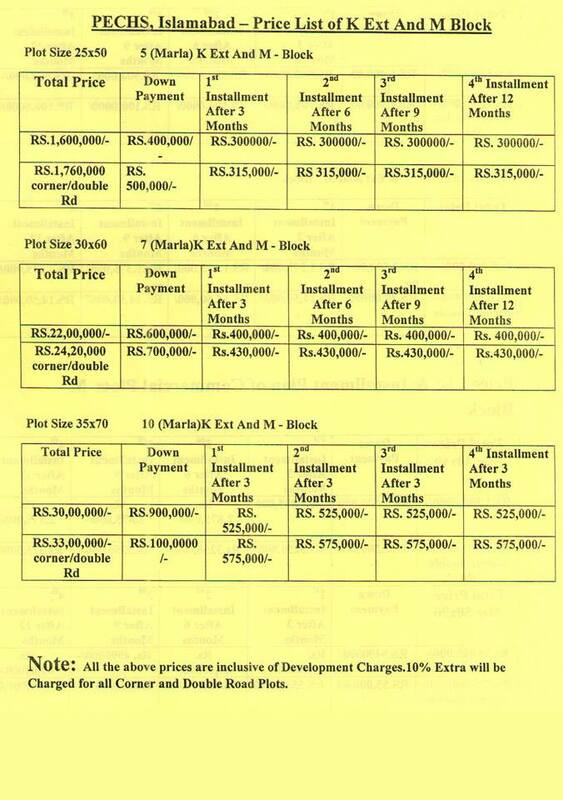 Some new plots in M block have also been launched where these revised prices apply. AGM meeting of PECHS society will be held on 7th December 2014 at the site office of PECHS. All members of the society are invited to participate in the AGM meeting as some important announcements including possession of K block, NOC status of K & M blocks and incentive plan for construction of houses in K block are expected in the meeting. Carpeting of road & streets in initial blocks as well as K block started. Majority of streets & roads were just asphalt but PECHS has finally decided to carpet all streets & roads in developed blocks. Carpeting in initial blocks has almost completed and it is going on in K block where possession is coming. The management has decided to finally give full possession of K block. Earlier the possession was given to 1 Kanal plots but the remaining area where commercials and 30×70 size residential plots are located. The formal possession ceremony is expected to be conducted after the AGM meeting. PECHS management is planning to introduce incentive plan in K block in order to induce plot holder to start construction of their houses. According to the incentive plan, PECHS will give from 3 to 5 lac rupees (amount not fixed yet) to the first few members who opt to built their houses in K block. 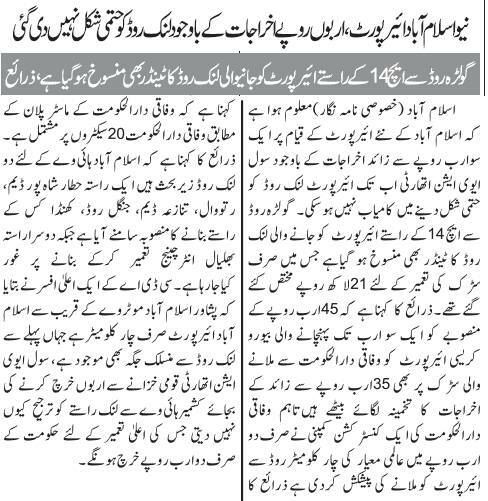 CAA is still unable to finalize link road to new Islamabad Airport. 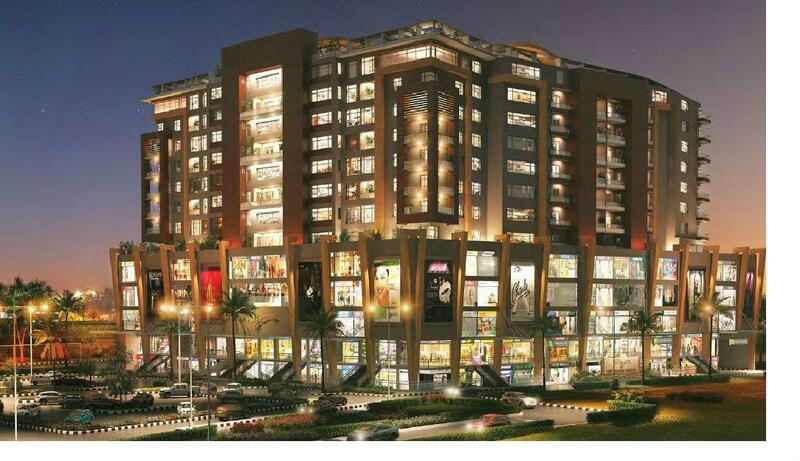 The revised plan was already rejected by civic development authorities as it added much to the estimated cost of this project and seemed unrealistic. Development work in M block is going on at full swing and major part of the development work has been completed successfully in record time of one year. It will take another 6 to 8 months before possession is announced in M block. As per the revised plan of PECHS, area of 6000 kanals comes under PECHS including K and M blocks. the revised layout plan has been approved and NOC has been issued by RDA. Additional land purchased by PECHS and added to the original layout plan which constitute K block, K-Extension Block and M Block are part of the revised layout plan.